Find & Add Videos to Messages! 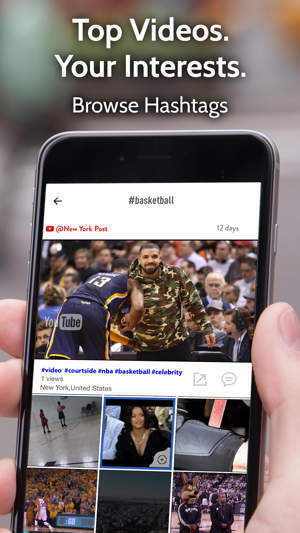 Centric lets you watch, discover and share videos that have been posted to top social platforms and news sources. Watch videos that interest you - from news, tech, gaming, entertainment and more - just as soon as they’re posted. 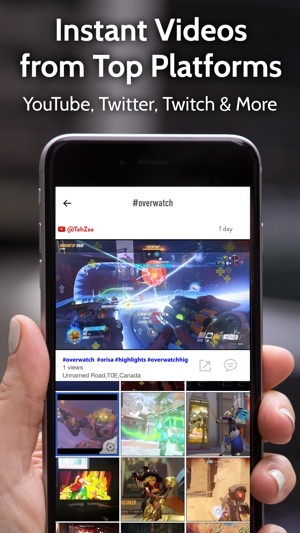 Search for the latest videos aggregated from top platforms like YouTube, Twitter, Twitch and Facebook Live. Find videos and instantly share them via iMessage with our iMessage integration! Watch geo-tagged so you can search local, or browse a feed of all videos! Everything from the fun and quirky to the informative and up to date. Get in on the action! With Centric, you can find all the local videos you didn’t know you were missing before they go viral, and share on social media or right on iMessage. Download now, browse topics you love and see what you’re missing! • Stream the best and funniest videos, news programs and music videos straight from your geo-tagged location. Think of TV with your favorite channels, in App form! 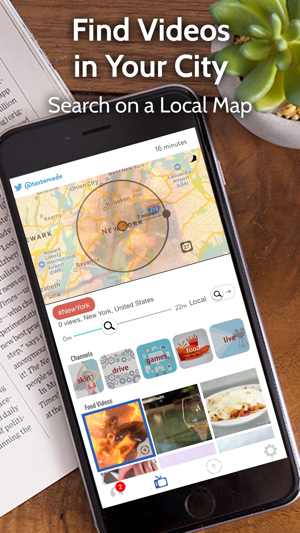 • ‘Slide and search’ to pin point clips nearby - You won’t believe what's being posted near you! • Be on the cusp of local video discovery – watch videos as soon as they’re posted. • Search and share videos anonymously, it’s all up to you! So don’t wait any longer, download Centric now! Why search when you can discover? 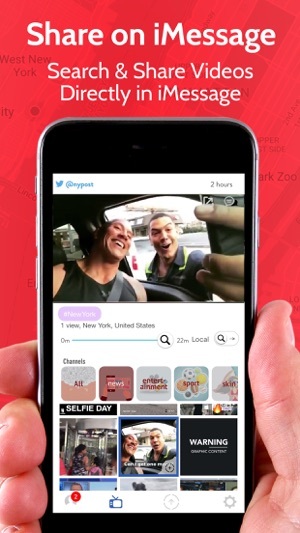 Please Note - Centric app uses GPS to locate videos nearest to you. Continued use of GPS running in the background can dramatically decrease battery life. On going work making app and iMessage better and better. I'm obsessed with this, it's both addictive and hypnotising. And loving that I don't need to follow anybody to see what's happening. Just great. Well done.